Investment Rarities Inc. was founded by the current President/Owner/CEO Jim Cook. The BBB has Pamela Lovett listed as the manager. Not much information about the management staff or owner is listed on their official website or anywhere else online. However, we were able to find that Owner Jim Cook has written a few books on precious metals. He also releases a Market Update Newsletter periodically and has his own archive of blog posts. Investment Rarities Inc primarily specializes in the sale of silver bars and coins, as well as gold coins. They also offer storage services through the Brinks Depository. The company helps its clients set up IRAs through the custodian it is partnered with, which at the moment is GoldStar Trust Company. The biggest factor that will influence the long-term cost of having a precious metals IRA is how much your IRA custodian charges for precious metals storage. Annual Maintenance Fee Eight-hundredths of 1% (0.0008) of the total market value of the assets in the account. Minimum fee is $60, maximum fee is $250 - Accounts at or under $75,000 in value will be charged the minimum of $60. Precious Metals Storage $1.00 per $1,000 value (10 basis points) - $100 minimum and no maximum. Fee is due when the account is established and is then billed annually based on the value of the precious metals in the account during the same month the account was created. FAQ Section – A basic ‘Frequently Asked Questions' list. IRA Page – This page instructs clients on how to get started in setting up an IRA with GoldStar Trust Company. Gold Coins – Provides access to the company's complete catalog of gold coins. Portfolios – Lists a few example gold and silver portfolios for varying investment amounts. Even if a company has a perfect reputation and seems to have the best pricing possible, it is always advisable to shop around thoroughly before making a precious metals investment of any kind, especially one that will come from a portion of your retirement savings. Shopping for the right gold dealer when your goal is to deposit gold into an IRA is a bit different than simply ordering gold coins or bars online and having them shipped to your home or business. Instead, the gold dealer you purchase your gold from will usually have a relationship with one or several IRA custodians, which are the companies in charge of storing the precious metals held in IRA accounts. 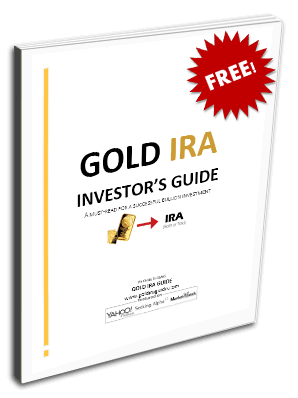 Thus, the most important aspect of making an ideal Gold IRA investment lies not in buying the cheapest gold products for your IRA, but in choosing a custodian and/or a gold dealer that works with the right custodian(s) to provide the most affordable and reasonable annual storage/admin fees. Contact Us if You Own or Represent Investment Rarities Inc. If you're the an owner, representative, employee, or associate of Investment Rarities Inc. and you'd like us to revise or remove any outdated or inaccurate information within this review, please feel free to contact us. We strive to maintain the utmost accuracy in all of our company reviews for the sake of or readers. Investment Rarities Inc. is a precious metal dealer based in Minneapolis, MN. Founded in 1973, the company primarily specializes in the sale of gold coins and silver bars and coins. After experiencing heavy growth during the decade following its inception, the business has sold a total of more than $2 billion in coins and bullion.